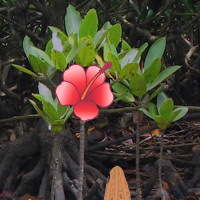 WowEscape - Wow Mangrove Forest Escape is another point and click escape game developed by Wow Escape. In this game, you came to see the beauty of a mangrove forest. But unfortunately, you missed the way out from this place. You have to find the way to escape from there by finding useful objects, hints and solving puzzles. Click on the objects to interact with them and solve puzzles. Good luck and have fun! Hi all: Good game. Picture puzzle is a bit of a pill. get it right and then shift it up, or down of left or right til it opens. Good luck everyone. I have to run. puzzles like the 3x3 potato thing?? Thank you Burgers for the help with the picture. The butterfly puzzle should only have had one correct solution! Thanks WOW for a good game. Thx BBB for the pic i was stuck there for a while, and thx WOW for another great game.